"We are saddened by the recent news surrounding the college admissions allegations," Crown Media Family Networks said in a statement Thursday. 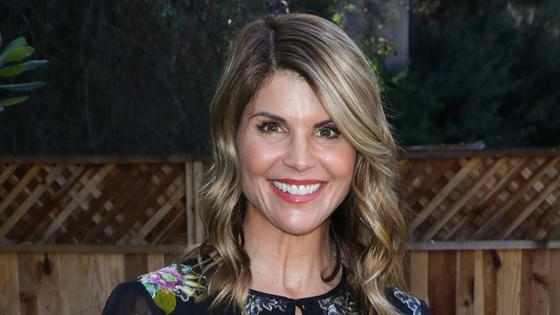 "We are no longer working with Lori Loughlin and have stopped development of all productions that air on the Crown Media Family Network channels involving Lori Loughlin including Garage Sale Mysteries, an independent third party production." Loughlin has appeared in a number of productions for Hallmark, including the TV series When Calls the Heart, which she's starred in since 2014. As for the future of When Calls the Heart, Crown Media Family Networks tells E! News that the show will not air on Sunday, March 17, adding, "We are evaluating all creative options related to When Calls the Heart series." This news from Hallmark comes two days after Loughlin, actress Felicity Huffman and over 40 other individuals were charged in connection with an alleged college entrance exam scheme. On Tuesday, March 12, E! News obtained court documents which show that both Huffman and Loughlin have been charged with conspiracy to commit mail fraud and honest services mail fraud. According to the FBI affidavit, the scheme involved getting students admitted into elite colleges. "Beginning in or about 2011, and continuing through the present, the defendants—principally individuals whose high-school aged children were applying to college—conspired with others to use bribery and other forms of fraud to facilitate their children's admission to colleges and universities in the District of Massachusetts and elsewhere, including Yale University, Stanford University, the University of Texas, the University of Southern California, and the University of California – Los Angeles, among others," the affidavit states. On the same day that the news of the scheme broke, E! News confirmed that 13 defendants were taken into custody in the Los Angeles area, including defendant Huffman. Loughlin's husband Mossimo Giannulli was arrested Tuesday morning without incident. On Wednesday, Loughlin surrendered to the FBI and was taken into custody. She was later released on $1 million bond. The actress will be allowed to retain her passport for travel on a current project in British Columbia, her next court appearance will be in Boston Federal court on March 29. It's noted in the FBI affidavit, "The Guannullis agreed to a pay bribes totaling $500,000 in exchange for having their two daughters designated as recruits to the USC crew team—despite the fact that they did not participate in crew—thereby facilitating their admission to USC."